I’m under the weather again today. Somewhat dizzy, somewhat nauseous. It’s either some sort of flu, or the meditations of my ‘enemies’ are actually working for once (yes, I live in a context in which people meditating for my downfall is not entirely out of the question, even if I think it highly unlikely – I’m not important enough). I would go to the gym, but I’m already working out with the lightest weights in existence and there’s nowhere to downgrade to. I’m also quite certain that the people owning the gym would be less than happy about my fainting there. So I’m working on “Flight from Hell”. Chapter 3. Technically, I need to send it in by July 15th or so (unless I calculated the date wrong). But I prefer having things done a bit earlier. Maybe I could write a romance novel about it (romance so it’d be lighthearted). It would work. The format appeals to me, when stripped of madness and bad taste and rushing and impossible demands. Reading a story episodically is an entirely different experience from reading a whole novel in one go. I’m a fangirl and I’ve read a lot of fanfiction, which is published one chapter at a time, unless the author really decides otherwise. Most of the time the distance between chapters in fanfiction is flexible – sometimes the first chapters come quickly, the later ones come hard. At other times the story is abandoned. Sometimes you have somebody like silverkytten who updates twice a year, if you’re lucky (unless she wrote everything beforehand). Or RosieB, who updates whenever. And the excitement! Have you heard, have you heard, there’s a new chapter of “Shades of Grey”, or of “Beside You in Time”, of “Touched”/”Contact”, of “Off the Record”?! Have you read, have you seen, you must! And then you wait some more. My first experience of weekly updated fanfiction was phoenix.writing’s “The Problem with Purity”. I caught it when it was 20-something chapters in and I rushed over the beautiful writing which took its time to describe things properly. I waited for the new chapter to be released on Thursday, I cried out in joy when the author released an extra chapter on special occasions. Reading something episodically is an experience stretched over time. It lets characters walk with you longer. Immersion in the story happens from time to time, in small batches – but then you get to come back over and over, take another step, see something else go on. It’s a different sort of adventure. I’m happy that the Big World Network decided to throw this sort of experience back into the world of books and literature. Because yes, it’s been done before. Over a hundred years ago, Dickens and Thackeray and so on would have their huge novels published chapter by chapter in the literary magazines of the age, before bringing everything together in a single volume. But then those magazines eventually died and novels published as novels became the standard – and indeed the only way most people think of stories existing. I’m happy about the Big World Network. I’m happy they like my novel and I’m happy that we can work together. I debated long and hard whom I should submit to, looking at experiences with writers, at royalties and sales and so on – and then I realized that this was the most fun option and the one I was most excited about from a writing and story experience point of view. And the best surprise thus far is the editor. Who seems to be a nice person, but who is also a careful professional. 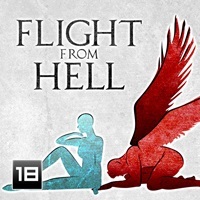 I think I nearly cried with joy when I realized she used notes and tracked changes on the first chapter of “Flight from Hell”. To compare yet again with my TV experience, there I never found out which changes had been made to my words (which I have been assured happens with some small publishers, too, although I haven’t had that experience myself). Yeah. I’m totally procrastinating on writing the novel.